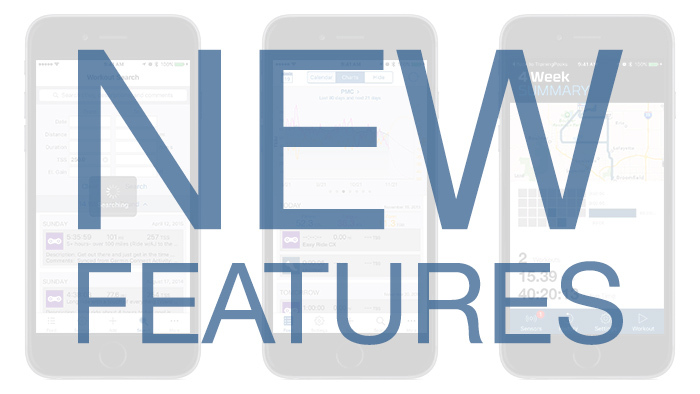 We’ve recently made some significant changes to the layout of both our iOS and Android mobile apps. New features and an updated layout make our mobile platform more powerful than ever. Search past and future workouts using titles, comments, descriptions, or metrics. Find and compare similar workouts to view your progress. Premium members have unlimited results and enhanced filtering features. The calendar now features color coded circles so you can quickly see the sport type of each workout performed on a given day. Additionally, the expanding white circle on a day indicates your total TSS for that day. You can now track your Heart Rate Variability (HRV) as a metric. After adding HRV as a metric in the web app, you will see HRV on your mobile account as well. Currently, you must manually enter your HRV. We’ve added three tabs across the top of your screen to make it easier for you to navigate. View your charts, calendar, or hide both for more screen real estate. At the far right is a simple button to refresh your screen. The bottom of your screen now has five icons for you to more easily navigate through the app. View your workout feed, go to your settings (or view athletes if you are a coach), add a workout, search for workouts, and more by clicking the appropriate icon. You can now record a workout using our direct link to the Wahoo Fitness App. Click the Add button in the bottom center of your screen, then scroll to the bottom to find the Wahoo Fitness icon. 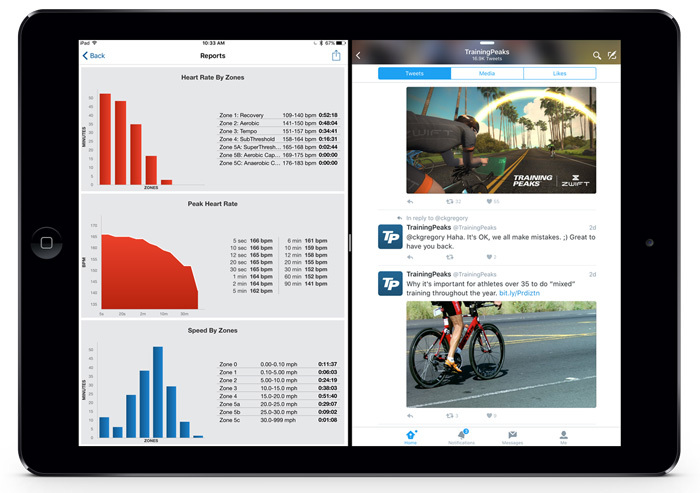 Record your workout and when you are done, Wahoo can push the data directly to your TrainingPeaks account. We are working hard to stay current with the latest platform advances from Apple. iPad multitasking was introduced by Apple in iOS 9 and allows you to use two mobile apps at once using Slide Over and Split View. 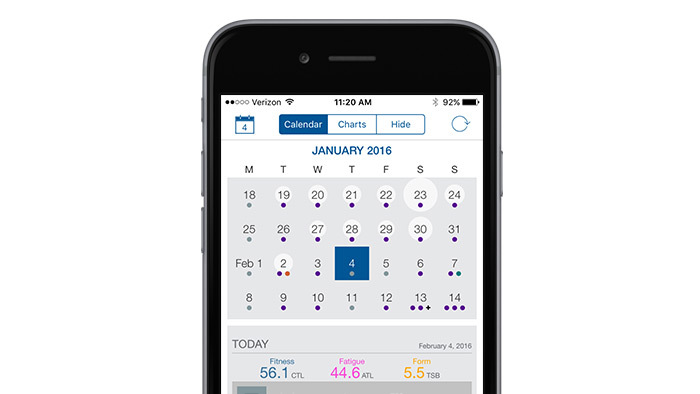 Using two apps at once will allow you to have the TrainingPeaks app open to plan future workouts while consulting your calendar app or browse YouTube for perfect instructions when doing your next core routine. Read more about iPad Multitasking.